Judge Gerard Haughton has been appointed to conduct a scoping exercise into the circumstances leading to a cyclist’s death over seven years ago. Shane O’Farrell, 23, was killed in a hit-and-run near his home in Co Monaghan in August 2011. The driver of the car, Zigimantas Gridziuska, had dozens of previous convictions and was on bail at the time. Mr O’Farrell’s family have consistently argued that Mr Gridziuska should have been in custody at the time, having repeatedly breached his bail conditions, but the justice system had failed. The terms of reference for the scoping exercise include a review of “changes that have been made to the law and practice in relation to the administration of bail and bench warrants and the extent to which they have or have not addressed gaps in those systems since the death of Mr O’Farrell”. The Garda Siochana Ombudsman Commission (Gsoc) recently cleared gardaí of any wrongdoing in their inquiry into the investigation of Mr O’Farrell’s death. 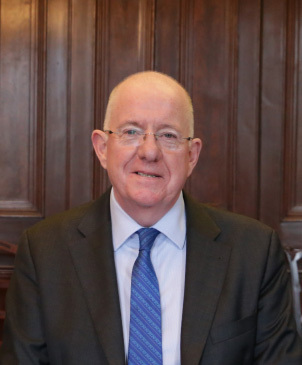 Justice Minister Charlie Flanagan met with the O’Farrell family yesterday to inform them of the new scoping exercise, though the family has continued to call for a full public inquiry. Speaking last night, Mr Flanagan said: “The death of Shane O’Farrell has had a devastating effect on his family who have for some time raised concerns about the circumstances leading to his death. “Having been informed by Gsoc that its investigation is now completed, I met with the O’Farrell family this afternoon to inform them that I have requested Judge Gerard Haughton to conduct a scoping exercise. Judge Haughton will make an interim report to the minister within eight weeks of his appointment, as part of which he will indicate the expected timeframe for completion of the scoping exercise.